The new website features everything prospective members and existing members need to know about the ICFM. 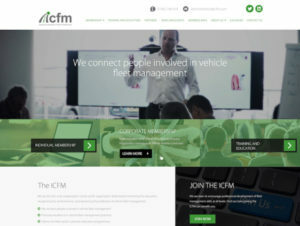 The ICFM (Institute of Car Fleet Management) has launched a new website with added functionality as it also introduces a new ‘fast track’ initiative for members. The new website – www.icfm.com – provides a completely interactive tool that enables members to interact with the organisation more easily on a range of issues, while reflecting the new ICFM branding launched late last year. Simultaneously, ICFM has announced a new ‘fast track’ initiative to enable members to achieve Fellowship status. Previously ICFM members could only attain Fellowship status after achieving the advanced Diploma, a programme which takes about 18 months to complete. Now ICFM members who can provide evidence of their fleet management competence, achievements and application of skills and knowledge with successful outcomes can apply for the Fellowship. The number of under-25s in the UK that are learning to drive is down by 20% compared to 2007-08. The number of under-25s learning to drive has dropped 20% over the last decade, new research indicates. The analysis by automotive consumer website www.HonestJohn.co.uk also found that the number of 17-year olds taking the driving test has fallen by 100,000 since 2007-08, with the decline being attributed to rising insurance costs. 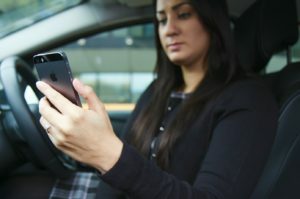 Recent research by Consumer Intelligence has found that car insurance bills have rocketed 15.7% over the past year – more than five times inflation – driven by increases in Insurance Premium Tax (IPT) and changes to the way personal injury compensation pay-outs are calculated, and according to figures a city-based teenager driving a small hatchback worth £8,000 can be quoted up to £13,498 for a comprehensive 12-month insurance policy, while those living in rural areas will be asked to pay a £8,750. The Technician Tracker enables customers to track the technician’s journey for their booking once they are ‘en route’, keeping them informed on progress. 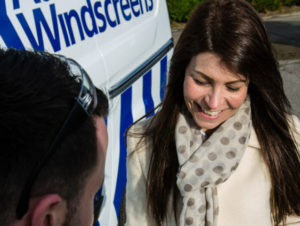 Auto Windscreens has introduced a ‘Technician Tracker’ – said to be an industry first – to keep customers informed on their scheduled appointments from booking to completion. The online service will enable customers to view information on the technician – including progress on their journey to a booking – and job status as well as the job location and work requested. Paul Smith’s appointment to the newly created technical director role at Fleetondemand has enabled the company to create a customer service centre. 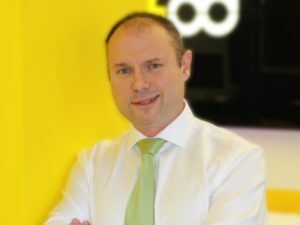 Mobility technology company Fleetondemand has grown its senior leadership team with the introduction of Paul Smith as technical delivery director as it launches a new customer service centre. Smith brings significant experience from the banking technology sector in Africa, most notably overseeing the development and introduction of mobile banking apps and technology within Barclays. His appointment to the newly created role at Fleetondemand has enabled the company to launch a new customer service centre and support initiatives across its technology platforms. Fleetondemand has also appointed Robert Dent as director of ground transportation and Mark Harwood as product director for its Mobilleo mobility solution. The Manheim Online business achieved year-on-year growth of 12.5% in May, making it the most successful month since sales began. 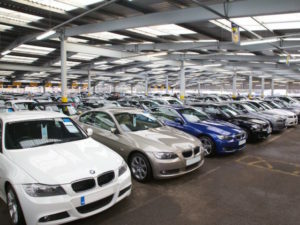 Manheim has reported record sales in May for its Manheim Online business as a growing number of vendors move to online channels. Manheim Online, which operates dedicated online sales for fleet and leasing customers and manufacturers, achieved growth of 12.5% year-on-year in May, the most successful month since sales began. May also saw partner Hyundai sell over 380 vehicles online, marking another all-new record. Drivers caught using their mobile phone behind the wheel now face double the points. Police forces including in Greater Manchester and across Hampshire and Thames Valley are running weeklong crackdowns on motorists using mobile phones while driving. The campaigns will see drivers caught using their phones issued with penalties as well as a focus on educating motorists about the dangers of distraction as part of the National Police Chief’s Council (NPCC) national campaign. In Hampshire, road safety sergeant Rob Heard said: “One driver caught using their phone is one too many and sadly we are still seeing too many people taking that risk, whether looking at a text, making and receiving calls or even surfing the internet. Following the introduction of a new law this year, offenders are now given a £200 fine and six penalty points; an increase from the minimum £100 fine and three penalty points issued previously.